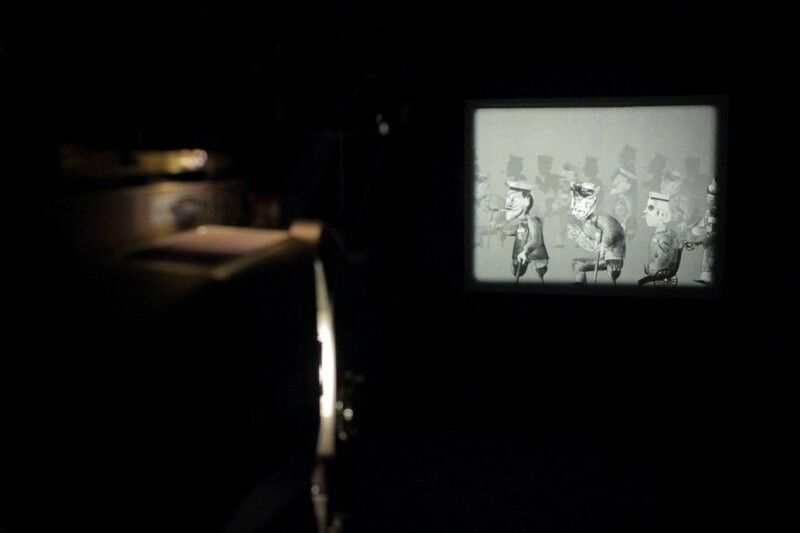 The piece Degenerate Art Lives, a 16 mm film installation by the Israeli artist Yael Bartana who lives in Berlin and Amsterdam, revives a central work of Otto Dix that is simultaneously connected to Dresden’s history of art: His now famous depiction of the Kriegskrüppel (War Cripples) (1920) was shown at the first Dada exhibition in Berlin and was given as a gift to the collection of the Stadtmuseum Dresden. In 1933 the work was displayed in the first Entartete Kunst exhibition in Dresden as an example of an art defamed as ›degenerate‹. The exhibition then toured numerous other German cities. From 1927 onwards, Dix was a professor at the Kunstakademie Dresden; he had to resign in 1933. He withdrew to ‹inward emigration‹ and receded to allegedly harmless landscape painting in his art. His pictures War Cripples (1920) and The Trench (1917), displaying the horrors of the First World War and from which Bartana took the characters for her film, were ranked as ›degenerate art‹ by the National Socialists and were presumably destroyed. The artistic work is an act of recovering Dix’ lost works as well as his criticism of false ideals, patriotism, nationalism and heroism against the background of the First World War. The War Cripples march again here. 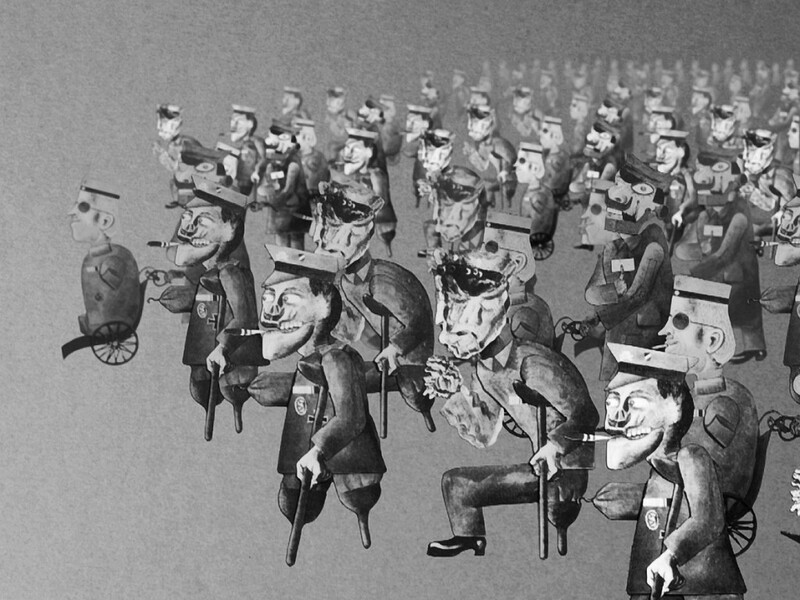 Instead of being excluded, dispelled or destroyed, they march in ever larger numbers, with ever louder steps on the screen and, in place of the ostracized political art of the 1920s, reclaim present-day significance: Degenerate Art Lives! Yael Bartana, who in the past years has repeatedly triggered international controversies with her works regarding the way in which historical utopias and also current political issues are dealt with, alludes to the fact that art history and social development cannot be turned into closed chapters, and that one must reckon with the spirits of the past in the present as well. Yael Bartana (* 1970, Kfar Yehezkel, Israel) lives and works in Tel Aviv, Berlin and Amsterdam. 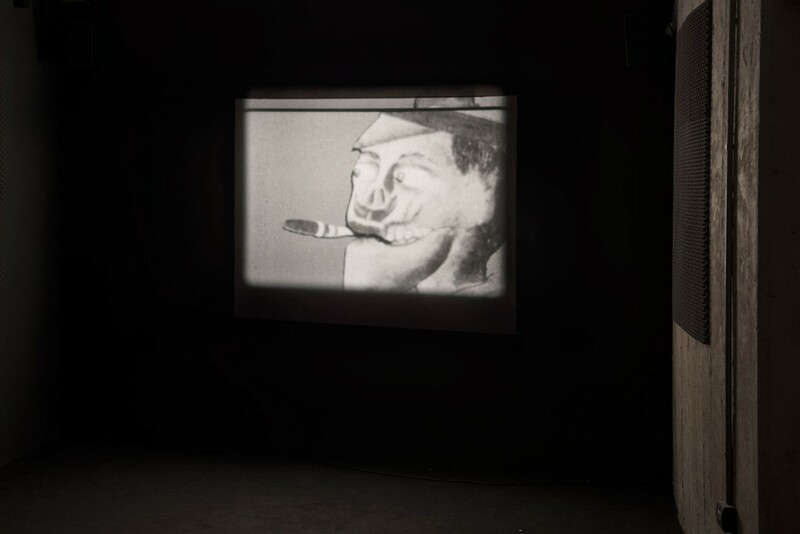 Yael Bartanas film installation Entartete Kunst Lebt / Degenerate Art Lives will be shown as part of the exhibition Vot ken you mach? in cooperation with the Militärhistorisches Museum der Bundeswehr in Dresden in the museum building redesigned by Daniel Libeskind at Olbrichtplatz 2 (Tram 8).